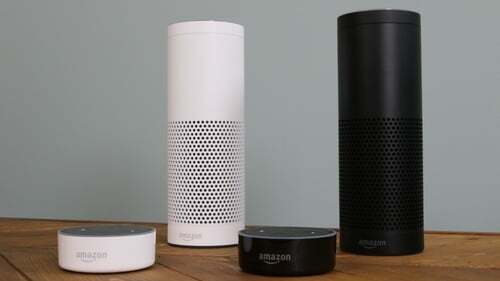 Amazon has announced that its Echo voice activated smart speaker range and its Alexa smart assistant are now available to customers here in Ireland. The system was first launched in the US in 2014 and since then has been slowly rolled out by the internet giant around the world and localised for individual markets. It had been possible to buy the products in other countries and use them here, but the system wasn’t optimised for the Irish market. Now Amazon says it will sell the Echo, Echo Dot and Echo Plus devices directly into Ireland from its Amazon.co.uk website. The move will increase competition and choice in the rapidly growing smart assistant market here. Alexa is Amazon's artificial intelligence driven software that powers Echo and a whole range of other devices made by third party manufacturers. The device is capable of carrying out a whole range of tasks, from answering questions, to making calls, playing music, activating smart home devices, accessing news and weather and more. The Echo devices are voice activated and hands-free. The company also announced that its Amazon Music Unlimited service is also now available here, offering users access to 40 million songs for €3.99 a month per Echo device, €9.99 for an individual plan or €14.99 for a family plan. Irish developers manufacturers can now also produce services and devices using Alexa, with the release here of the Alexa Skills Kit and Alexa Voice Service. Among the Irish services available through Alexa at launch here are news from RTÉ, travel services from Ryanair and radio services from Irish Radioplayer. The Amazon Echo will cost £89.99 from amazon.co.uk. while the Echo Plus is £139.99, and the Echo Dot for just £49.99. Apple is to release its smart speaker, HomePod, in the US, UK and Australia in February but it is not yet clear when it will be available to buy and use in Ireland.